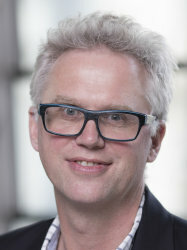 Biography: Spencer Sherwin is Head of Aerodynamics and Professor of Computational Fluid Mechanics in the Department of Aeronautics and Director of Research Computing Service at Imperial College London. He received his MSE and PhD from the Department of Mechanical and Aerospace Engineering Department at Princeton University. Prior to this he received his BEng from the Department of Aeronautics at Imperial College London. Other Activities: Currently Professor Sherwin is Principal Investigator on the EPSRC funded Platform for Research In Simulation Methods. Professor Sherwin is also the academic lead to the Joint PhD programme with the University of São Paulo.